WhatsApp 2.12.161 was released for Android. 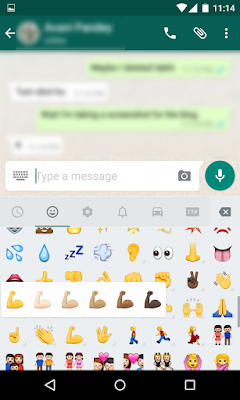 In the new version of the chat app, it is possible to send emoji (also known as emoticon) with different skin colors. Earlier we discovered this variant already in WhatsApp Web. 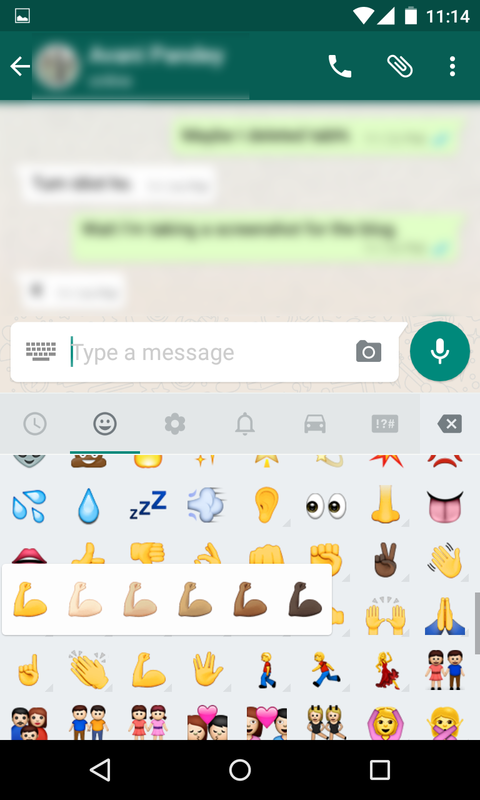 In WhatsApp 2.12.161 emoticons can be sent to another with different skin colors. We have already seen this on WhatsApp Web, Telegram or iOS version of the app but it wasn't available on the Android till today. Not all emoticons are available in various skin colors. The emoticons which has different skin tone will in yellow or has a small arrow at the right corner of it. Thumbs up, the police, the family, the ear, painted nails are some examples of emoticons that can now be selected in multiple skin tones. 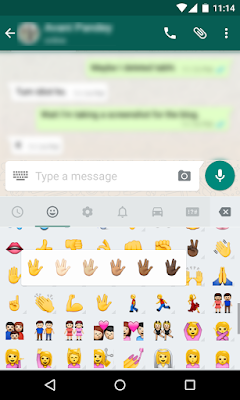 The emoticons in different skin colors to choose, be further changed in the layout. And now it will remember the chosen color the next time you open Emoji tray. 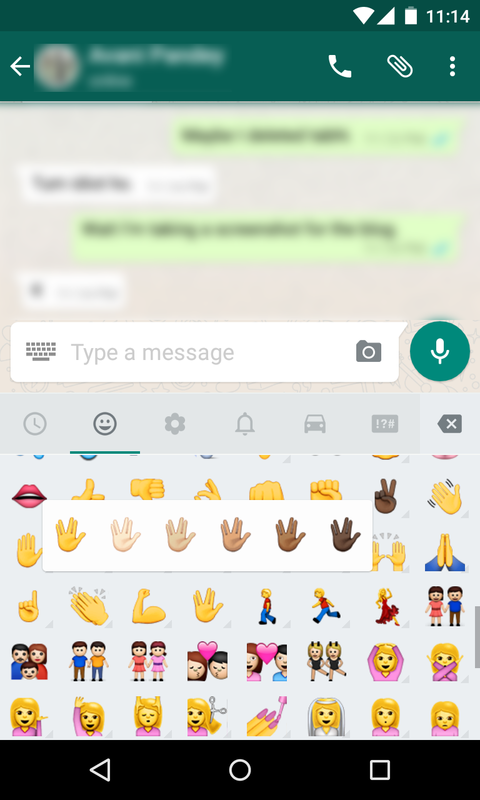 The new version of WhatsApp is needed to get the new emoticons with skin color. You can download the APK WhatsApp 2.12.161.